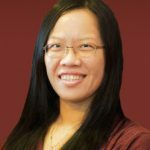 Dr. Hsu focused her research on the regulation of stem cells proliferation of in the body: too little proliferation leads to defects in tissue maintenance, too much leads to tumor formation. By using hair follicle stem cells as a model, she discovered that the stem cell progeny were important regulators of their own stem cell parents, influencing the speed with which the parents proliferate. She is continuing this research in her independent research at Harvard in order to understand how to manipulate and maintain the optimal progeny activity in normal regeneration as well as in cancer formation. She completed her postdoctoral studies at Rockefeller in Dr. Elaine Fuchs’ lab.